The holidays are here and with that comes more time to spend with our loved ones and to spread peace, joy, and love. With so many things going on in the world, there is nothing better than to know that we are fortunate enough to have our loved ones by our side. That is why during this holiday season, I want to invite you to take time to cherish the present 100% and enjoy every moment we can spending joyous time with our loved ones. One of the things that my family and I enjoy most during the holiday season is the fragrance of cinnamon. 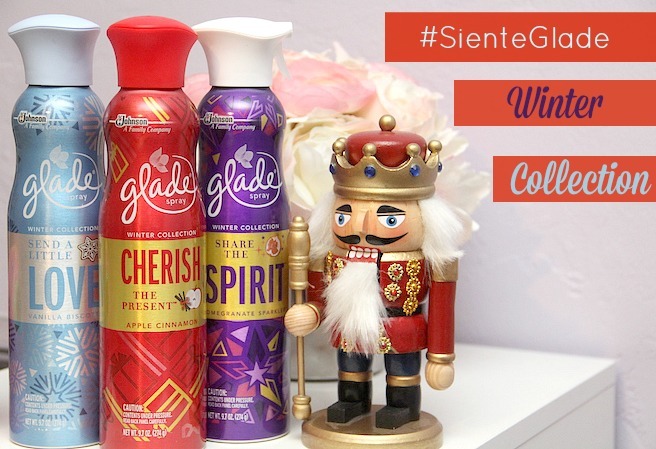 Glade®’s Winter Collection has a scent called “Cherish the Present™”. This scent has hints of apple and cinnamon, which is a must have scent this time of year because, besides smelling amazing, it puts us in the Christmas spirit. 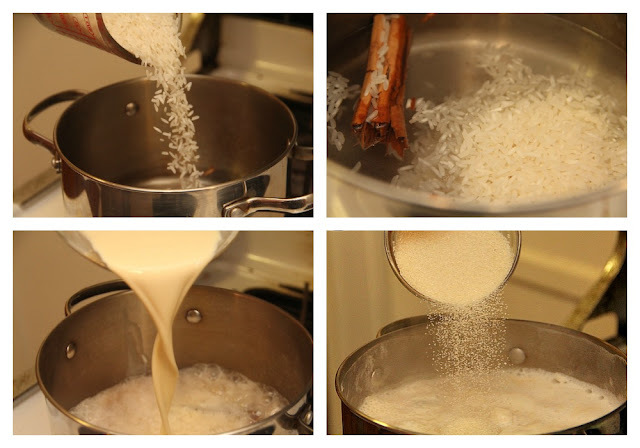 During this time of year, my family and I always make Arroz con Leche (better known as rice pudding). We like to gather together to drink or eat Arroz con Leche while we watch a movie, or just talk for a while. Without a doubt, that is one of the best moments of joy in my life because I’m doing the most important thing in the world, spending time with my loved ones! 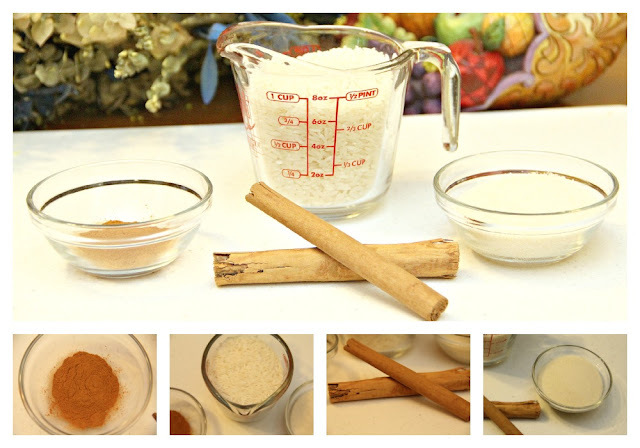 That is why today I want to share with you this recipe inspired by the Glade® Cherish the Present™ Jar Candle and Premium Room Spray, its cinnamon notes reminds me of the smell of Arroz con Leche. The scents in the Winter Collection by Glade®, just like rice pudding, are perfect complements for this season because they help transform an ordinary day or evening into a warm special occasion filled with joy. 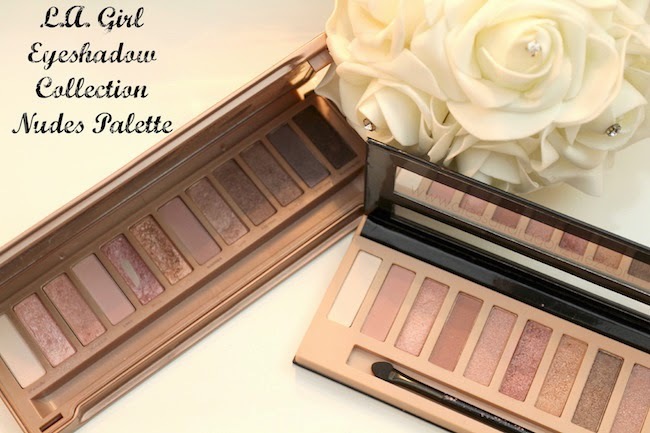 This collection can be found at many retail stores. I bought my Glade® items at Target and used the Cartwheel App to get an additional discount. But, you can also get a coupon here that will help you save on these fragrances! Rice Pudding, or Arroz con Leche, is a delicious recipe. 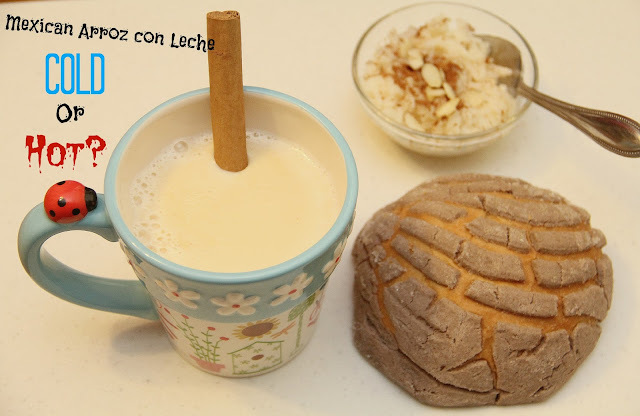 It can be eaten as rice pudding or you can also “drink” it and combine it with a pan dulce (sweet bread). One thing is for sure, it tastes better when you share the joy with your loved ones! On a cold winter night, lit up a Winter Collection Glade® JarCandle and serve your family a warming Arroz con Leche drink. In a pot, put a little bit of water. Let it warm up and then add the rice. Add one cinnamon stick to the mixture and let the rice cook for about 10 minutes. Then, add the evaporated milk and let it boil, continue by adding regular milk until the consistency of the rise is puffy. Lastly, add the 2 oz of sugar and stir. 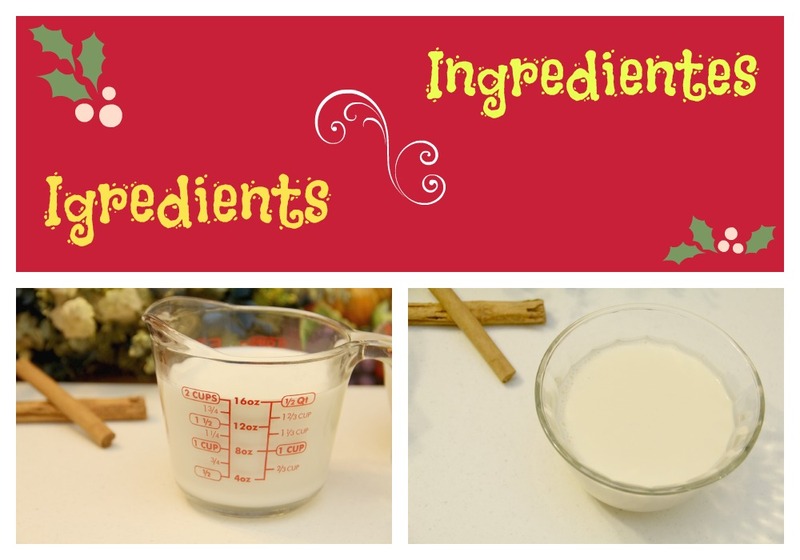 You can serve it as rice pudding by grabbing only rice from the mixture. You can serve it cold or hot. Raisins are optional. I add almonds to almost everything, so I did here as well. 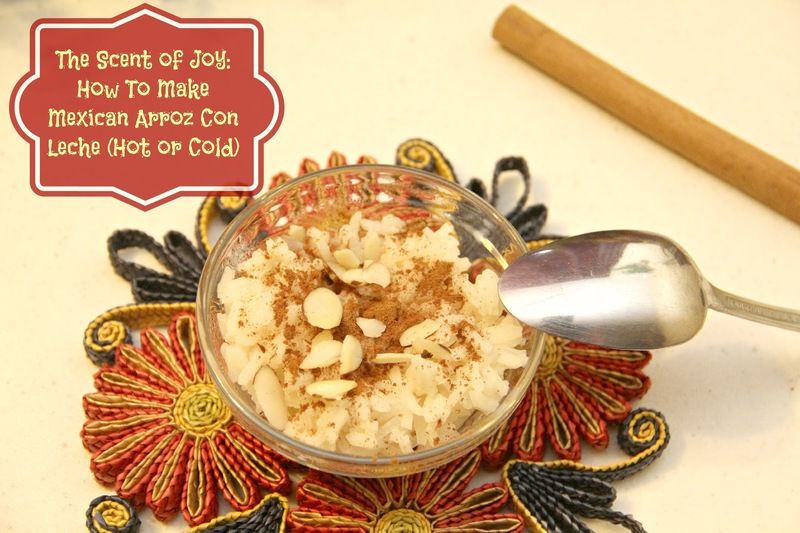 Add cinnamon powder on top and enjoy! 3. In Mexico we always drink Arroz con Leche in its liquid consistency. We add it to a coffee cup and add more milk than rice. We normally accompany it with a piece of sweet bread! How do you prefer it? How do you prefer it? Hot or cold? If you want to learn more about how to spread the joy with Glade®'s Winter Collection don’t forget to follow them on Facebook or Twitter! These Wax Melts, Premium Room Sprays, Plug In Scented Oils, and Jar Candles are great gifts this season!